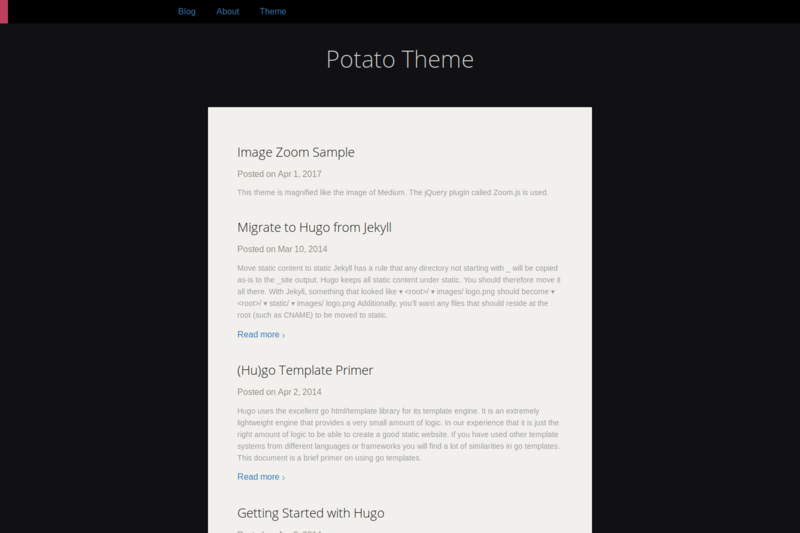 Potato Dark is a modern, simple and beautiful Hugo theme. Use short code for Image Zoom. You may specify following options in config.toml of your site to make use of this theme’s features. For getting started with potato dark, copy the config.toml file from the exampleSite directory inside Potato’s repository to your site repository. Now, you can start editing this file and add your own information! Pull requests, bug fixes and new features are welcome! To start just fork the repository and consider creating an seperate random branch so it get easier for me to test and review pushed code! thanks.